While we may have officially made it to Spring, I’ve only just finished my Autumnal Cardigan from Hannah Fettig, of Knitbot. 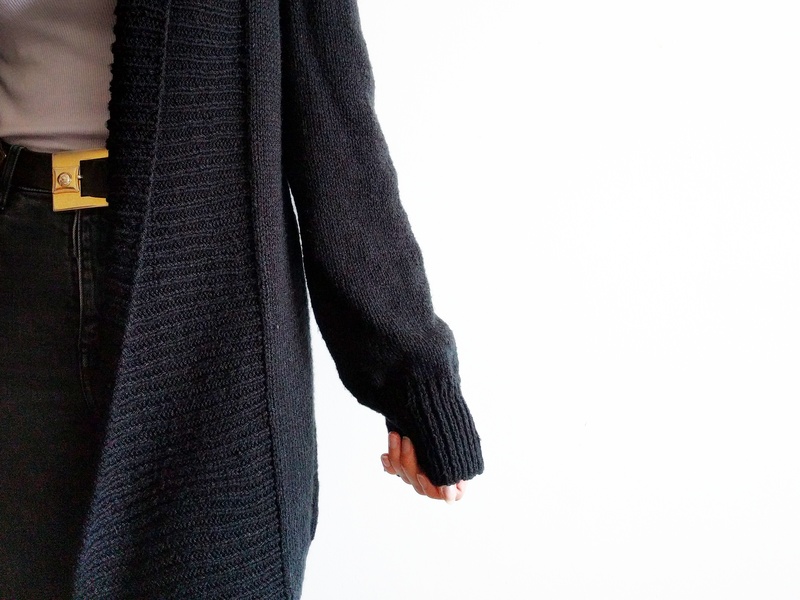 I spent a long time looking for a pattern that would fulfil my needs; to use up my stash of black DK yarn, and provide me with some warm sleeves for layering while the weather’s still cool, and this fit the brief perfectly. 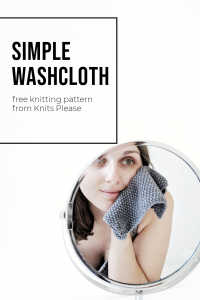 I think I can be pretty fussy when it comes to knitting patterns. I’ve got a strong sense of my personal style, and more often than not I really struggle to find existing patterns that represent it. 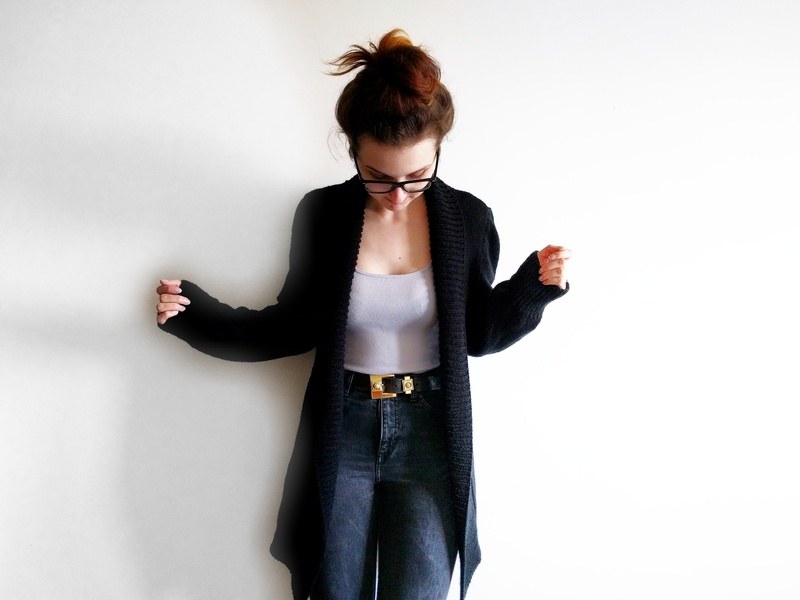 What I love about Hannah’s Autumnal Cardigan is that it’s simple enough to suit my evermore minimalist style, yet has enough to it in design to offer something interesting. My favourite design element is definitely the ribbed shawl collar, which I can just imagine cosying up in during the longer winter nights, but for now I think it’s the perfect transition piece to take me through Spring until the chill wears off the air. Plus, it’s perfect for laying over my growing collection of statement tees, which makes it a win-win in my eyes. Getting started on a cardigan of this size in DK yarn, you know you’re in for a long slog. I made sure to wind down all of my other WIPs so I could really focus and get it knit up in a reasonable time-frame, because I just wanted to get on and wear it! I really loved knitting the sides and back in one piece, and felt like I was making good progress at the beginning, a feeling which did continue throughout until I started working on that shawl collar I was so excited about! When I’m moving onto the last bit of a pattern, in this case picking up and knitting the shawl collar, I always start to get that excitable feeling that I’m nearly finished. 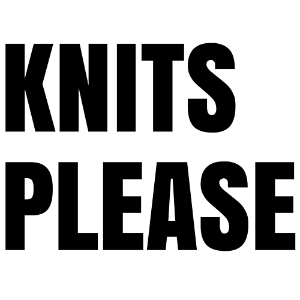 I start to get impatient and long for the project to be off the needles and hanging in my wardrobe. Unfortunately that shawl collar takes a long, long time, which I guess is obvious once you think about it because there’s an awful lot of stitches up and down the sides of that cardigan. Suffice to say, I spent a lot longer on that final ribbing than I had anticipated, but maybe that made it all the more satisfying when it was finally bound off? I feel I may have made a little mistake in the final stages by blocking the sleeves separately, as the armholes weren’t the best fit, but I’m hoping a good wash will iron out the kinks and satisfy my inner perfectionist! If you’d like to make your own Autumnal Cardigan, and I definitely recommend that you do, you can find the pattern here, and you can pick up the yarn that I used here.